SAN FRANCISCO— At its public meeting on December 14, the Judicial Council heard reports from judicial leaders about the possible impact of additional cuts to the judicial branch. Since the enactment of the state Budget Act on June 27, 2012, the judicial branch, consistent with budget legislation, has operated on the basis that each trial court had two full years (until June 30, 2014) to spend down accumulated fund balances to 1% of their respective operating budgets to cushion the shock of what has amounted to a one-third cut in operations budgets since fiscal year 2008–2009. However, judicial leaders involved in budget discussions reported their concerns that $200 million in remaining court fund balances at the end of the 2012–2013 are at risk. Several council members warned of the serious consequences of this potential action. Legislative Priorities for 2013: After receiving the judicial branch budget update, the Judicial Council approved legislative priorities for the judicial branch in 2013, which include advocating to achieve budget stability for the judicial branch, including opposing further budget cuts and advocating for sufficient resources to allow courts to be in a position to reopen closed courts and restore critical staff, programs, and services that were reduced or eliminated in the past several years. This advocacy also would include continued sponsorship of 17 proposals for court efficiencies, cost-savings, and new revenue. Note: The council deferred action on the recommendation to request an additional 50 new judgeships as part of its legislative agenda until further review and consideration by the council’s Policy Coordination and Liaison Committee. 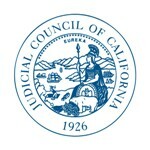 Policy on Responding to Requests for Information and Records: The council voted to establish a formal policy to guide staff from the Administrative Office of the Courts (AOC) in responding to public requests for information that is not contained in judicial administrative records, as such requests do not fall within the current AOC procedures for handling requests made under rule 10.500 of the California Rules of Court. In approving the new policy, the council made clear that it did not change rule 10.500 or the existing procedures for handling public records requests; the new policy simply ensures increased clarity and direction for AOC staff that receive requests for information not contained in judicial records. Report on Court Security: The council received the final report from its Court Emergency Response and Security Task Force that recommended maintaining the AOC Office of Security and creating a new Court Security Advisory Committee. In a separate action, the council approved the report’s recommendation to retain the AOC Office of Security. But the council deferred action on the creation of the new advisory committee.